Owning property gives you a place to live and work that no one can take away. Property owners often take pride in their homes and businesses, developing a deep connection with their property. This can make property damage shocking for many people. 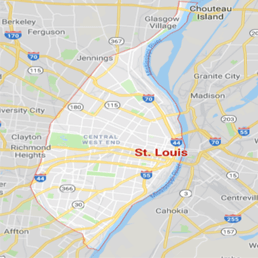 Property owners in St. Louis, Arnold, and Chesterfield can contact 911 Restoration of St. Louis around the clock to get immediate help. Our technicians can reach your home or business within 45 minutes of an emergency call, 24/7/365. You do not have to handle the stress of flood cleanup, fire damage restoration, mold removal, or sewage backups on your own. Let us begin the property restoration process immediately after you suffer any kind of property damage, so you can get your life back to normal. Water damage can be caused by many different issues, including ice dams, frozen pipes, water leaks, burst pipes, and home flooding. 911 Restoration of St. Louis can handle water damage restoration regardless of the initial cause of the damage. Our professional technicians can offer a free visual inspection for property owners only throughout Chesterfield, Arnold, and surrounding areas. 911 Restoration of St. Louis uses cutting-edge water damage restoration technology to seek out spots of moisture in your property. This means the team can remove all traces of water, not just obvious flooding. It is important that your property is completely dried after a water damage event. Moisture that is allowed to remain can allow mold to grow in your home or business, necessitating mold removal services. 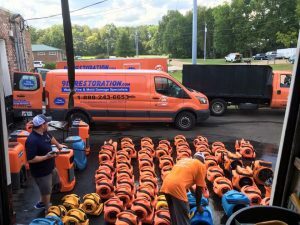 Let us go to work right away to handle water damage restoration if you are facing water damages that include flooded basements, flooded bathrooms, sewage backup, or flooded crawlspace. The team at 911 Restoration of St. Louis will not rest until your property back in perfect condition after the water damage restoration process. You deserve help handling flood waters or damage caused by a burst pipe. Contact us today to get the professional water damage restoration services you need. There are many different types of mold that can grow in homes and businesses around St. Louis and Chesterfield. Some strains of mold can be hazardous to your health if you inhale the spores. Mold can also discolor drywall, cause foul smells, and destroy your property if it is left to grow. 911 Restoration of St. Louis can help property owners handle the mold removal process quickly and effectively. Our team understands that mold occurs naturally in the world around us, but that the fungus does not belong in your home or business. Let us offer you a free visual mold inspection for property owners only. The technicians at 911 Restoration of St. Louis are IICRC certified to handle mold removal. You can rely on us to provide professional mold removal services while containing the spread of mold through your property, using air filters to remove mold spores, and safely disposing of items infested with mold. You deserve quality and affordable mold removal services after you notice an infestation. Let 911 Restoration of St. Louis spring into action to handle residential or commercial mold removal. Fires generally leave behind a lot of damage after they rage through a home or a business. 911 Restoration of St. Louis has the experience and the resources to handle fire damage restoration for property owners in Arnold and Chesterfield. Fire damage restoration can even involve handling water damage. Sprinklers and water hoses can cause tremendous amounts of damage to homes and businesses during a fire. Rely on 911 Restoration of St. Louis for comprehensive fire damage restoration services, including water damage restoration services. 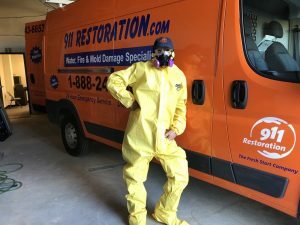 As a full-service property restoration company, 911 Restoration of St. Louis has the equipment and training to properly handle fire damage restoration. You won’t have to turn to multiple contractors to get your property back in order if you contact us. Let us take care of all aspects of the fire damage restoration process so you can rest easy. No property owner wants to discover that sewage has backed up into their home or business. Raw sewage can be disgusting and dangerous to your health. Fortunately, you do not have to handle sewage backup cleanup on your own. 911 Restoration of St. Louis uses specialized equipment to remove sewage from your property. Sewage backup cleanup from a professional company involves disposing of raw sewage and any materials destroyed by the backup. The team can even take care of the smell as the sewage backup cleanup process proceeds. Note that raw sewage is often considered black water because it has been in contact with human waste products. Sewage can carry pathogens throughout your property while also causing water damage. 911 Restoration of St. Louis can disinfect your property while focusing on water damage restoration and mold removal, if necessary. Help is only a phone call away if you have experienced a property disaster emergency in St. Louis, Arnold, Chesterfield, and surrounding areas. You can turn to 911 Restoration of St. Louis if you need help handling fire damage restoration, water damage restoration, sewage backups, mold removal, and more. We are proud to offer professional property restoration services to our neighbors. Let us immediately get to work restoring your property to perfect condition.